A tropical paradise spa in Kalutara. Relaxation permeates throughout the double-storey haven that is Anantara Spa in Kalutara. Choose from a menu of treatments inspired by the ancient healing traditions of Ayurveda. 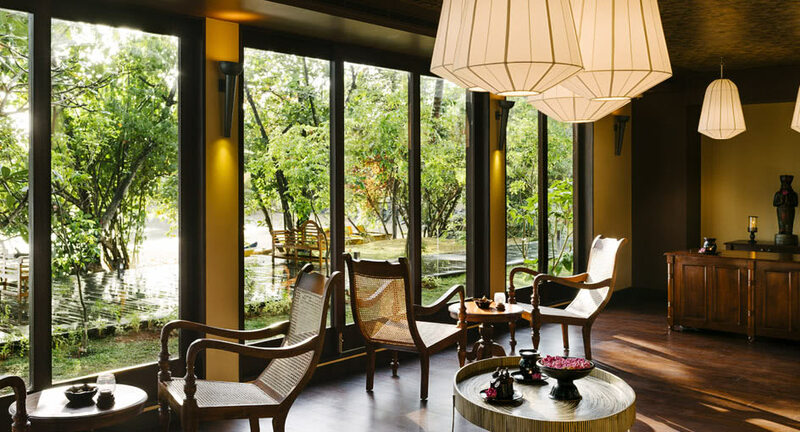 Discover unique and exotic therapies from across Asia. Indulge in revered Western spa practices. Hydrating, healing and richly moisturising, the golden-hued king coconut is indigenous to Sri Lanka and a treasured natural resource. Experience a tropical spa journey that starts with a creamy king coconut scrub to renew, hydrate and soften your skin. A warming king coconut compress is applied through rolling motions to deeply relax your muscles while providing remedial nourishment. Your journey concludes with our signature king coconut massage to induce blissful relaxation, and a fresh, naturally mineral-rich king coconut drink. Purify and enliven your skin with our curated green tea spa journey, inspired by Ceylon’s fine tea heritage. Powerful antioxidants are released with a warm tea bath soak followed by a purifying green tea body scrub. Be cocooned in a nutrient-rich detox wrap using green tea balm to encourage super skin health and detoxification. Conclude with a body massage with aromatic essential oil and revel in your reinvigorated equilibrium and a feeling of wellbeing. A signature blend of oils combined with experienced kneading and coaxing stimulates the circulation and promotes deep relaxation, whilst restoring the flow of energy, or prana, along the meridian line. The spa is to die for! I have visited many spas all over the world and this is one of the best I have experienced – big thank you to the therapists.